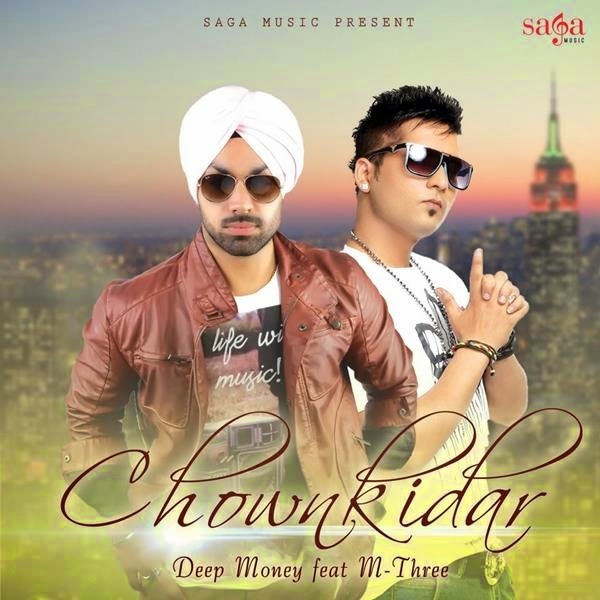 Chownkidar is the title of Deep Money's New Punjabi Song featuring M-Three. Music of song 'Chownkidar' is produced by Jay Meet and Lyrics are penned by 'M-3'. Chownkidar is the title of New Punjabi Song of Deep Money featuring M-Three. Deep Money was introduced by Yo Yo Honey Singh in his First Solo Project 'International Villager' with track 'Dope Shope'. After that Deep did some good beats like 'Disco Wich Gidha Tera' featuring Ikka, Come to Me feat Badshah and Nazraan Ft Bups Saggu. Recently he released an exclusive single titled 'Patassa' on youtube and now he is back with this Dhansu Bhangra Tune. Music of song 'Chownkidar' is produced by Jay Meet and Lyrics are penned by 'M-3'. Teaser of the song is out on Saga Music, stay tuned for full songs lyrics and video release!